Elizabeth James sets the scene with a discussion of the nature of the Roman army as it emerged and evolved from from the Third Century Crisis, describing the make up of the armies, their weapons and tactics, and the impact of Constantine's policies and reforms. 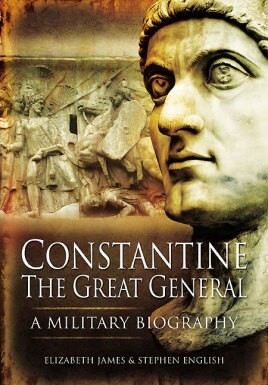 She then examines each of Constantine's campaigns and battles, (including the British campaign which led to his proclamation as emperor at York) to show that he deserves to be remembered as a great general as well as a great emperor. This will be a welcome study of a neglected facet of this historical colossus.